A small Red Cloud thumbnail that is simply esthetic! essentially perfect, there is no damage that can be seen by naked eye, very tiny edge chip is found at 20X magnification. 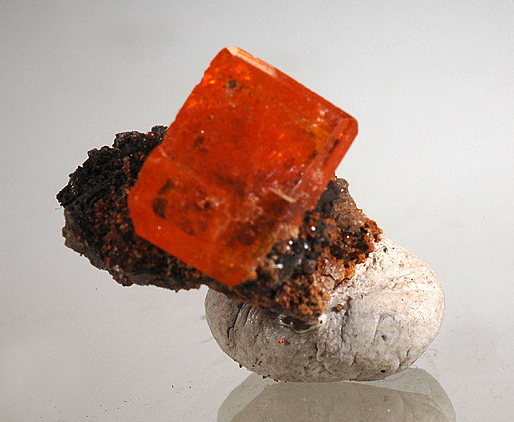 The matrix hosts a sharp deep orange-red Wulfenite that is 9 mm in size, and has some micro calcite rhombs on it as well. Small but sweet. From the earliest finds of several years ago this is a classic San Pedro Corralitos Mimetite. More recent finds never reached the quality of the original discovery. The very best classics have a wet-look luster, super bright color and very high price tags when available. They are world class.. This piece is pretty good ( far better than recent specimens) but does not reach the top color or luster that would add a zero to the price. The form on this is excellent and displays well but luster and color are not quite the level of the best pieces. Impressive and lusterous, this is super esthetic! 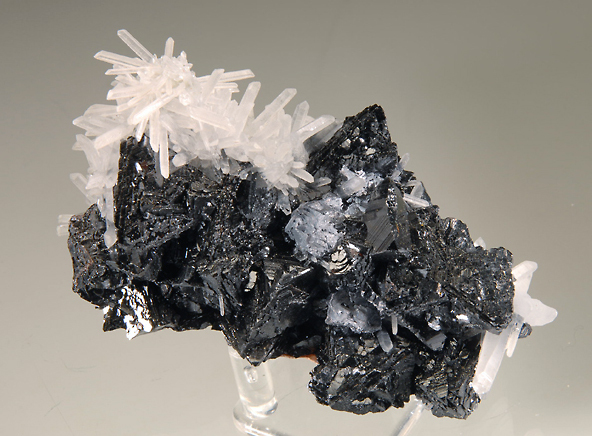 A cluster of very sharp undamaged Sphalerites reaching 2.7 CM are stacked in a very nice arrangement. The real interest are the sprays of delicate needle quartz. that decorate the piece and add lots of contrast. As a bonus there are some good Galenas as well. This can be displayed from several angles. Despite some damage to a few quartz needles, this is still a a top shelf piece from a very important location that is now closed. A Mexican classic! The Adamites of the Ojuela Mine are probably the worlds best. Many styles and colors are known, but almost nothing of quality has been found for many years. This type of ball aggregate is very desirable, getting hard to find and usually very expensive. On this one the large ball is 2.3 CM and well placed, it is fully crystallized with good green color. A flat spot on the top seems to be a contact but there is no damage anyplace. Quite esthetic and very well priced. 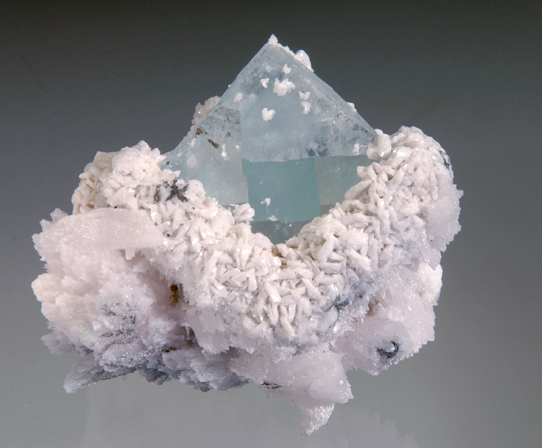 From the type locality for Hubeite, this is an esthetic and unusually pristine apophyllite. Clear crystals to over 2 CM cover the matrix and these are sprinkled with rosettes and clusters of reddish brown Hubeite and some micro calcites. Most of these have lots of serious damage, this one is far better than usual but not perfect. The most important crystals are very clean with only minor edge rubbing seen at 10X magnification, there is some visible damage at the outside edges. 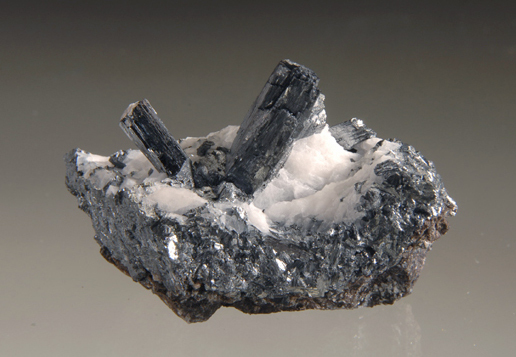 This displays well and makes a good addition to a suite of Chinese minerals, rarities or new minerals. 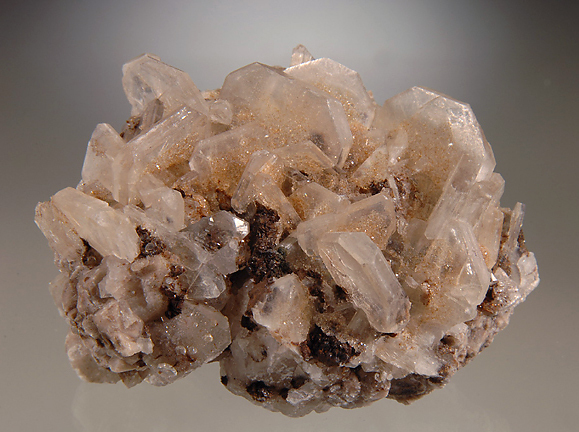 There has not been new Hubeite on the mineral market recently. 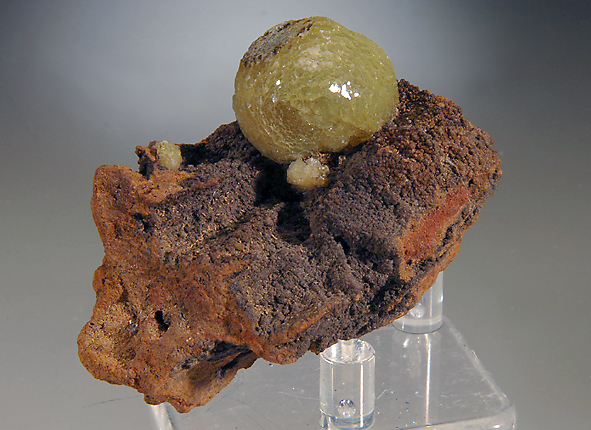 A very different, pretty and unusual style of Wulfenite from the finds in Xinjiang of 2007. 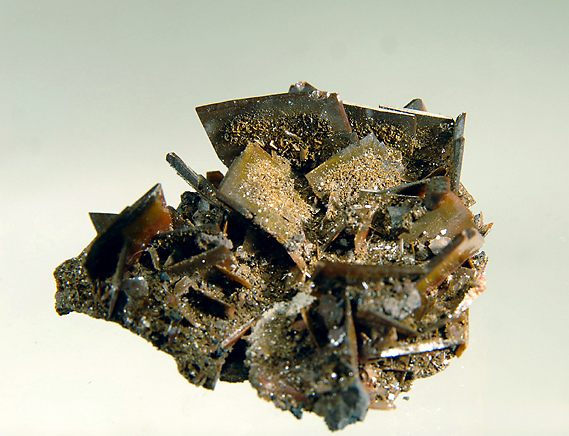 This is the only piece I have seen of this Wulfenite that has a chocolate brown to greenish color on one side of the crystals and a dark red-brown on the other side. Sparkling and delicate this small miniature has many crystals without damage. The largest reach 1.6 CM and have a beveled edge termination. The darker color and glassy luster reminds me of Magma mine Barites. For any Chinese suite or Wulfenite collection this is special, its not like any other Wulfenite produced here! Chashan Mine, Linwu Co., Chenzhou Pref.